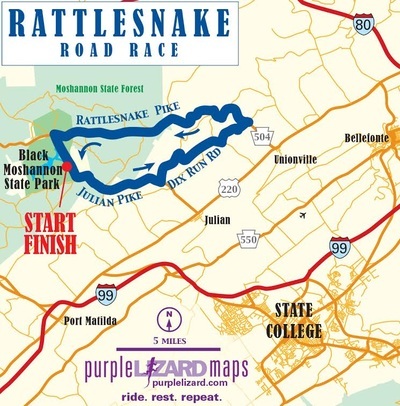 What is the nittany Stage Race? The Nittany Stage Race is the dream of every cyclist. A two day, three race event that offers a challenging road course, incredible downtown racing, and lots of bang for the buck... all to help a great cause! The Nittany Stage race offers a full USAC lineup, and equal prizes in men's and women's categories. WHERE IS THE NITTANY STAGE RACE? Created by cyclists, for cyclists, The Nittany Stage Race will be the most exciting multiple day bicycle race in Pennsylvania. Saturday's road race will be held in Black Moshannon State Park and delivers amazing descents, truly epic vistas and more than 1,900 ft of climbing per lap! 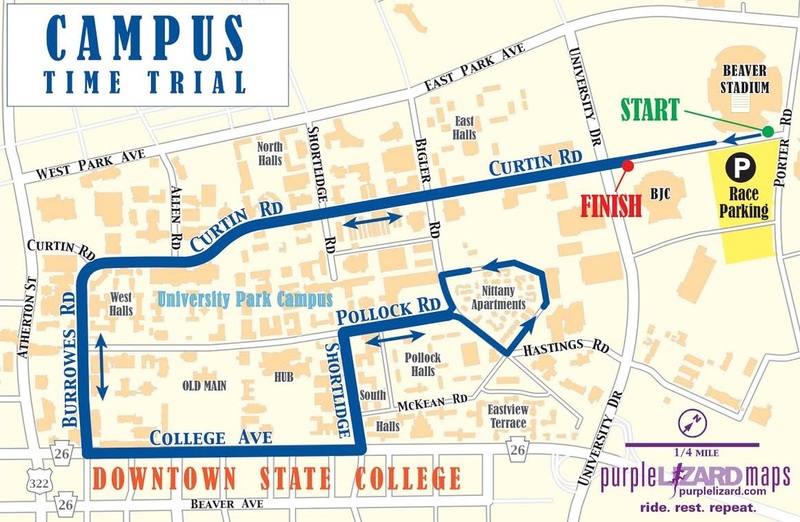 A tried and true course, it has frequently been selected as the championship road race for the Eastern Collegiate Cycling Conference. Sunday begins with a Merckx Style time trial running through campus and down College Avenue allowing for excellent visibility by spectators. The opportunity to race the time trial as an open event will also be offered to local residents and is expected to be the highlight of the weekend as cyclists go flying down State Colleges main drag! A criterium around State College's memorial field will begin shortly after 12:00 and features a six turn "L-shaped" course offering primes to every category of cyclist. 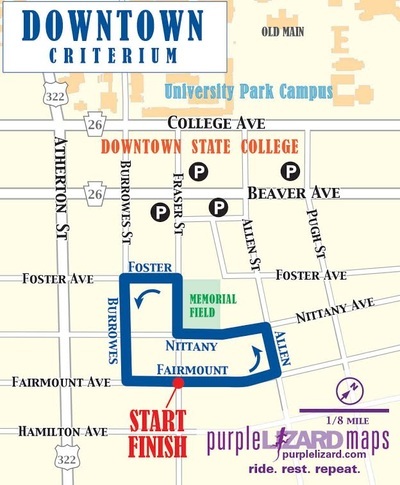 The Nittany Stage Race will showcase all of the best things State College and the Centre Region has to offer, by providing food and lodging packages, as well as numerous opportunities for race sponsorship. Additionally the Nittany Stage Race benefits The Bestwick Foundation, a recognized 501(c)(3) non-profit organization, created to help those in need throughout the Centre Region. 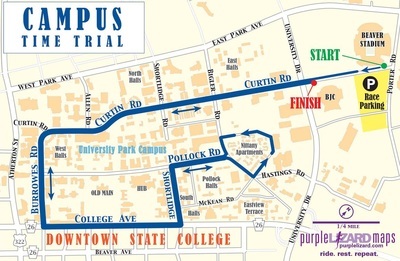 A family fun ride will take place at the Criterium beginning at 5:00pm and ending at 5:30. At the family fun ride individuals and families will get to ride the same closed course as the racers! This event is absolutely free, all we ask that you stop by the registration tent at the corner of W. Nittany and Fraser St prior to the event so that we may ensure all cyclists have a helmet. Also present at the Criterium will be food trucks from Rita's Italian Ice, Food For Thought catering, Rothrock Coffee, and more! Equal prize purses, exceedingly great courses, in a family friendly event that all goes to benefit a great cause.... this isn't your average bicycle race, this is The Nittany Stage Race!